Smell that? You smell that? Rumours, son. Nothing else in the world smells like that. The Mill loves the smell of napalm in the morning. It’s particularly whiffy around Old Trafford the noo, where Ole Gunnar Solskjær is planning to address the mess he inherited from The Artist Formerly Known As The Special One. At least five players are set to leave the club, while potential signings include Raphaël Varane – available for just £429m, or three easy instalments or £143m – Jadon Sancho, Callum Hudson-Odoi and a DeLorean that can take them back to 1999 and make all this go away. United are also keen to beat Manchester City to the signature of Atlético Madrid midfielder Saúl Ñíguez, just as they did so triumphantly with Fred last summer. If Pep Guardiola can’t do his David Brent dance in the face of Saúl, he’ll make an offer for another Atlético midfielder, Rodri Hernández. David de Gea is still wanted by absolutely everybody, but specifically Juventus, Paris Saint-Germain and Real Madrid. Zinedine Zidane may offer Thibaut Courtois and/or Gareth Bale in part-exchange for de Gea. Or he might not! Spurs are keen to welcome Fulham’s teenage star Ryan Sessegnon into their spangly new home, while Celta Vigo’s 16-year-old midfielder Yago de Santiago is also on their wanted list. Arsenal have a private detective monitoring every move made by Bournemouth assist-fiend Ryan Fraser. Unai Emery is also interested in Genk’s Leandro Trossard and Boca Juniors’ Cristian Pavon. Wolves will complete the permanent signing of Raúl Jiménez from Benfica in the next couple of days. Colchester youngster Noah Chilvers is wanted by West Ham and Leicester, while the Hammers also want a piece of Fulham’s Aleksandar Mitrovic, ideally the head and both feet. According to Le10 Sport in France, Lyon are interested in West Ham United midfielder Edimilson Fernandes as they eye replacements for Tanguy Ndombele. Lyon showed promise in the Champions League this season, and are at least set to reach next season's Champions League qualifiers under Bruno Genesio. The problem for Lyon is that many of their players are attracting major interest, and star midfielder Tanguy Ndombele is very much expected to move on this summer. Now, Le10 Sport report that Lyon are starting to shortlist a number of midfielders to potentially replace Ndombele – and West Ham's Fernandes is one name they like. Fernandes, 22, has been out on loan at Fiorentina this season having found himself unwanted by Manuel Pellegrini at West Ham, and he has been featuring regularly in Italy. Fiorentina have a purchase clause in the deal, but aren't sure yet whether to activate it, and Lyon could now swoop in and offer to take the Swiss talent away from East London this summer. A 2016 signing from Sion, Fernandes has made 48 appearances for West Ham, but failed to really nail down a regular place or even position, having featured as a central midfielder and even as a wing back. Cashing in this summer seems to be the best plan given that Pellegrini doesn't appear to fancy him, but a move to a major European club like Lyon would be a shock to many. Fanatik claims West Ham United are keeping tabs on Besiktas midfielder Dorukhan Tokoz ahead of the summer transfer window. It’s reported West Ham are set to make an offer for the highly-rated youngster in the summer, with the Turkish club valuing him in the region of €20m. Tokoz joined Besiktas on a free transfer from Eskisehirspor at the start of the season and he quickly established himself as a first team player under Senol Gunes. The versatile midfielder, who can also play as a right-back and centre back, has been a key player for Besiktas this season and he’s drawn interest from AS Roma and Valencia says the Turkish newspaper. According to Fanatik, it’s likely that West Ham will make a good financial offer to Besiktas at the end of the season as they continue to follow his progress. 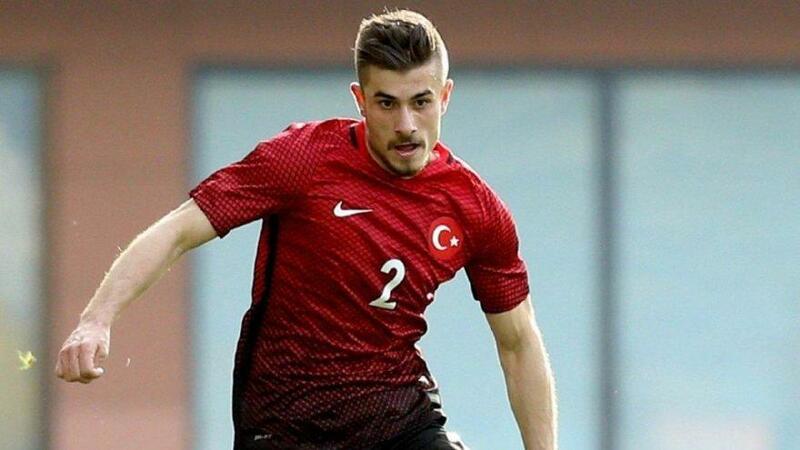 The 22 year old Turkish international has played 19 games for Besiktas this season and scored 3 goals. Tokoz is under contract at the Vodafone Arena until June 2021. Gary Medel interest is also mentioned in the same report, and it’s thought he could be a Hammer next season. WEST HAM and Leicester are monitoring Colchester kid Noah Chilvers. The midfielder has impressed for the U’s Under-23 side and his performances have been rewarded with a senior debut in the 3-0 home win against Newport last month. Chilvers, 18, can operate in central midfield but his ability and eye for goal allows him to push forward and play as a No 10. The Premier League pair have been tracking his progress as he has risen through the ranks at the Jobserve Community Stadium and could be ready to make their move this summer. Both have earmarked Chilvers as a potential top flight star of the future and are expected to test the League Two side’s resolve. Local boy Chilvers is coming to the end of his two-year scholarship and is yet to agree a professional contract with Essex club. The U’s have offered a two-year pro deal and want it signed at the end of the current campaign. Boss John McGreal wants the talented youngster to stick around in order to aid his development. But if they fail to agree a deal, Chilvers could leave with Colchester due training compensation. And Colchester will hope his development continues in League One next term. The U’s are a point off the play-off places and entertain Oldham on Saturday. Was thinking the same thing...looks like a young chubby kid! Cheers Alan. Is it my eyes or does the Chivers kid look about 8 in that photo ? Zabaleta 2 games away from triggering a contract extension. Hmm, will be interesting to see if he's wanted/gets it.